Adventurous, inspiring, discovering! 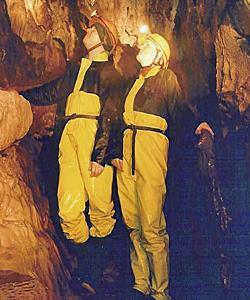 Do you see yourself caving in Wales with Adventure Britain? It takes place in the fantastic natural outdoor adventure playground that is the Brecon Beacons National Park. Mutli-award winning Adventure Britain offer adventurous outdoor activities for all ages and abilities. We are an independently owned and operated limited company with a reputation for delivering once in a lifetime adventure experiences at value for money prices. We actually provide your holiday or event experiences.